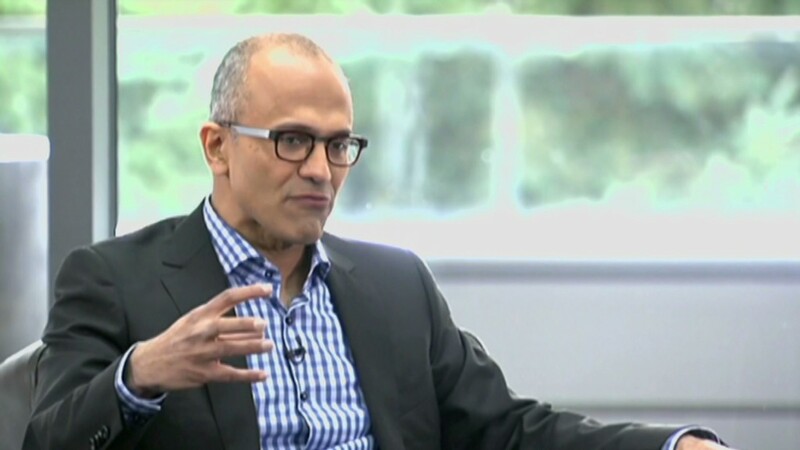 Microsoft's new CEO Satya Nadella will be paid handsomely for his services. At today's stock price, he could take home as much as $17.2 million this year, and $30.4 million a year starting in 2015. At that rate, Nadella will likely be among the top 5 highest paid tech CEOs. The new CEO will be paid in four components. First, there is Nadella's annual salary, which will be $1.2 million. Next, he is eligible for a yearly cash bonus worth up to $3.6 million. His bonus could be less if Microsoft's (MSFT) board determines his performance was lacking. Third, he'll take home an annual stock award of $13.2 million starting in 2015. Finally, Nadella will receive stock awards tied to Microsoft's stock performance for each of the next three years. If Microsoft is in the top 100 performers on the S&P 500 stock index, he will receive 300,000 shares a year over the next three years (worth $12.4 million at Tuesday's closing price). But if Microsoft's stock performance was in the bottom 150 S&P 500 performers, Nadella could collect as few as 50,000 shares (worth $1.8 million at Tuesday's closing price). Even in the unlikely event that Nadella takes home no bonus and Microsoft's stock performs terribly, the minimum that Nadella could take home this year is $6.6 million (at today's stock price). Next year, the minimum would be $16.2 million. Of course, Nadella's actual take-home pay will depend on the value of Microsoft's shares when his stock awards vest. Nadella was Microsoft's second-highest paid executive last year, earning $7.7 million in salary, bonuses and stock grants. Only chief operating officer Kevin Turner made more. Microsoft's former CEO, Steve Ballmer, took home just $1.3 million a year. He is Microsoft's second-largest shareholder and did not receive any stock awards.